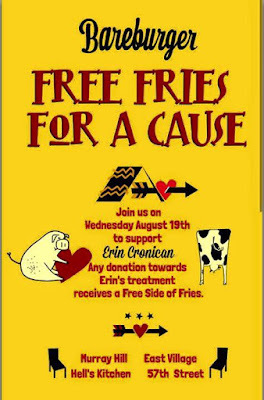 the erin cronicals: Donate, and get FREE FRIES! 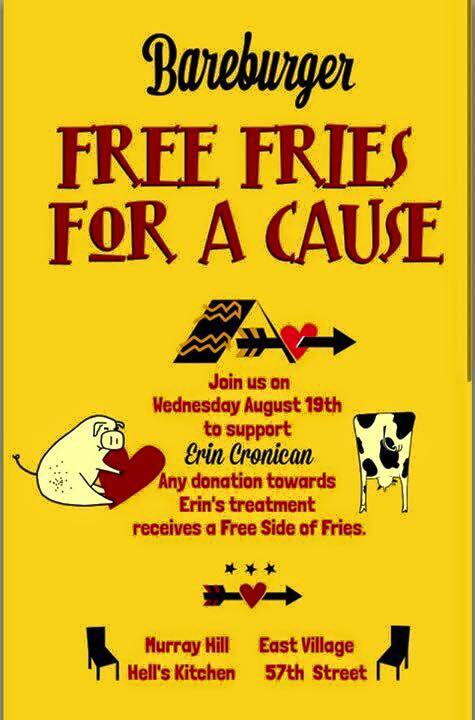 Donate, and get FREE FRIES! So... I don't know how many of you know this but I have a truly great boyfriend, who happens to work for a truly great organization called Bareburger - a healthy burger joint that cares about sourcing its food purely and ethically. 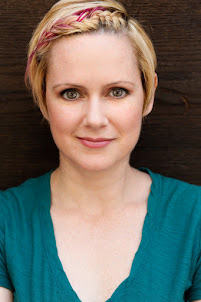 This is a port. It reminds me of something from a horror movie. 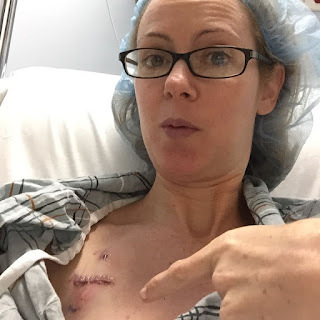 This is where my port was just implanted via surgery. I've always wanted a pig to hug my face while I looked away. So emo. BUT THAT'S NOT ALL. Other franchises got wind of this and started jumping on board, and as of this writing 16 LOCATIONS ARE PARTICIPATING. Holy balls! When I saw the flyers they made I just started to cry. Asking for money has always been difficult, but whenever I've had to do so it was always for a non-profit I worked for - never for myself. So, the fact that the owners of this incredible company have stepped up to help has truly taken my breath away. Note: Those in bold are the original stores that created this fundraiser, so if you have a choice pop by one of them! If you hate fries but still want to help, check out this post which details other ways you can contribute. I truly cannot even believe this. Thank you, everyone, for making what has been a very dark time have a little bit of lightness. The port is PURPLE and to me it looks like a heart. It's extra love. It's PRETTY!